Three Books in One. 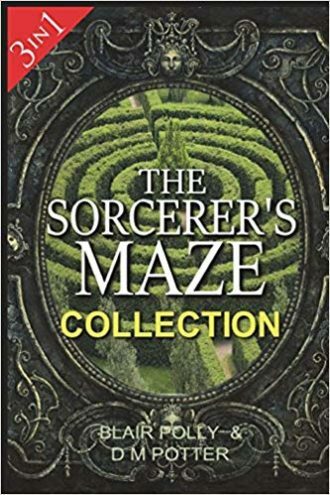 The Sorcerer’s Maze Adventure Quiz, The Sorcerer’s Maze Jungle Trek, and The Sorcerer’s Maze Time Machine, all in one volume. The sorcerer has many tricks to keep you in his maze. Will you escape? These are interactive stories with you as the main character. A great collection for kids who love trivia, puzzles, riddles, mazes, animals and quizzes. ‘You Say Which Way’ books can be read in any order. And the big List of Choices makes it easy to find story lines you haven’t read yet. What Readers Say: I love the sorcerer’s maze series! Choose your own adventure books, fantasy, and education in one book! What’s not to love? 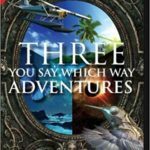 These books sweep you into a cleverly constructed fantasy world where you must solve educational questions in order to pass levels. These levels are, unbeknownst to the reader until the end, to test you to see if you are worthy of being the sorcerer’s apprentice. The atmospheres of each environment they enter are unique, especially the candy room in the beginning of the first book. That was my favourite. These books were very unique and refreshing to read. I give this book five stars!